10 YRS Shenzhen Yeefu Communication Technology Co., Ltd.
2. Reliable structure , static loading capacity : 800KG (Optional castors and plinth ) 3. Adjustable feet and castors are available, moving conveniently and fixing reliable. 6. Optional cable entry on top cover and bottom panel , front door ,rear door and side panel can be removed facility , the bottom has the function of ventilation and rat-proof . 8. Optional opening hole and varies specification upon customers&rsquo; special requirements. 6. The many places for top cable entry and bottom cable entry can be closed. The machine protection , ventilation and monitoring outside can be done in one time . 8. The accessories is compatible with EM series Networking cabinet . static loading capacity : 60KG 3. Wall mounted or floor standing , could install castor or feet at the bottom of cabinet . 4. Quick and easy wall mounted , 19" standard installation inside . 6. 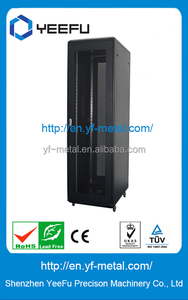 120MM size fan could be installed at top of cabinet as customer's requirement . More Information please feel free to Visit us at: or contact us directly. 4. The side door can be installed castor and uninstalled quicly which makes the working conveniently. 5. The cabinet can be installed castor and adjustable feet simultaneously which make the moving and fixing easily. 6. The front door's open direction can be adjusted and the top cable entry hole with the rubber cover. 5. The inside can be designed in 19" inch structure or installation panel,we can also do in customer design. 7. OEM Surface Finish: The surface of the cabinet coated special outdoor painting materl,which can resist the ultraviolet and the capacity of resisting eroding is good. Material and Thickness: Frame is made by spcc,the thickness is 1.5mm, doors, side panel, top cover and plinth are made by spcc,the thickness is 2.0mm. 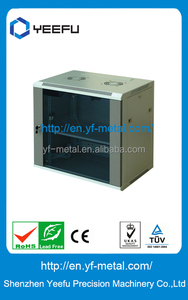 control cabinet PT-S Series Industrial Control Cabinet Features: 1. Frame(Patent) is made of double profile and connected by 3 tees, could be welding and assembled. It is easy to install and uninstall 6. 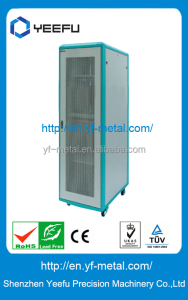 The cabinet is processed by professional automatic polyurethane gasket filling machine and use 3-points lock system which can make sure the cabinet be sealed well. 3. Packing: Flat packing or assembled packing 4. Delivery:18 days after 30% deposit receipt 5. Payment: T/T with 30% deposit, 70% balance should paid before Delivery Why choose us9 1. 100% manufacturer selling 2. Wholesale/ Customize sample/OEM are available 3. Competitive price 4. High product quality ,Strict quality control 5. Fast Delivery: 18 days after receipt of 30% deposit 6. Best service ! 2.The frame is made of nine folds structure and welded by special 3-Tees. The front door can choose inter-n ational fashion color of tempered glass. 4.The side door can be installed and uninstalled quickly which make the working conveniently. 3. The unique waterproof slot design,double layer door with 3point key,the door around are sealed by polyurethane gasket,IP Degree: IP55. 4. There is a 25mm*75mm waterproof cover around top cover. 5. The inside can be designed in 19" inch structure or installation panel,we can also do in customer design. Material and Thickness: Frame is made by spcc,the thickness is 1.5mm, doors, side panel, top cover and plinth are made by spcc,the thickness is 2.0mm. 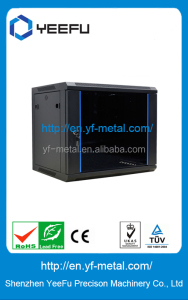 Alibaba.com offers 387 yeefu cabinet products. About 1% of these are filing cabinets, 1% are bathroom vanities. 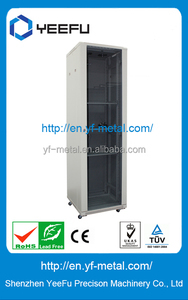 There are 387 yeefu cabinet suppliers, mainly located in Asia. The top supplying country is China (Mainland), which supply 100% of yeefu cabinet respectively. 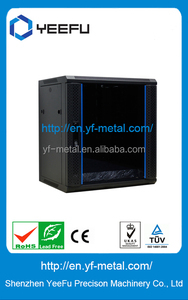 Yeefu cabinet products are most popular in Mid East, Western Europe, and Eastern Asia. You can ensure product safety by selecting from certified suppliers, including 387 with OHSAS18001, 387 with ISO9001, and 387 with ISO14001 certification.